During the planning and construction of buildings and other structures, knowledge of the surrounding area is extremely vital. As a result, a topographic survey and the topographic map that is subsequently created can be highly beneficial. Surveyors will examine almost every fixed object that one may find outside including trees, utility poles, manholes, walls and much more. Moreover, surveyors will typically measure the height, depth and length of various natural features like mountains and lakes. Instruments used during the survey are typically GPS units and electronic EDM instruments, which utilizes radio and light waves to take measurements. Once the survey is completed, the information is then used to make a topographical map based on the information and measurements gathered. When looking at such map, one can see whether some areas are in higher elevation than others or how deep a lake is. Topographic surveys can be very important to many professions. For example, real estate developer planning the location of the next project may need to know the layout of the land in order to not build on a very steep location. 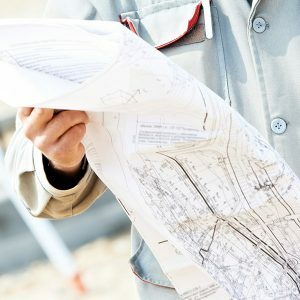 Furthermore, a local government official can use a topographic map to determine the ideal location for sewer pipes or electric cables to best serve the city. Researchers can also use the information provided by topographic surveys to study the changes in the land over time. The careful study of the land can be useful to a wide array of researchers, professionals and government organizations. Call Central Coast Surveyors in Monterey at 831-394-4930 to learn more about topographic surveys.